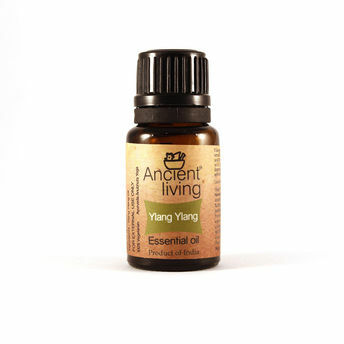 Experience the sweet, floral, romantic fragrance of Ylang-Ylang Essential Oil which elevates mood, reduces anger while having a calming effect on the mind and body. This incredible oil has a stimulating effect on the scalp which boosts up luster thus promotes hair growth. On the skin, Ylang-Ylang oil has a soothing impact and its sebum balancing action is useful for excessively dry and as well excessively sleek skin. When applied topically, this astonishing Ylang-Ylang oil helps improve the skin tone as well as the appearance of aging skin. For oily skin dilute 1 drop oil in 10ml water or for dry skin dilute 1 drop oil in 10ml Ancient Living Almond Oil, before applying topically to the skin. Ylang-Ylang Oil helps stimulate hair growth, makes hair strong and colorful, when applied [after dilution] to the hair. We recommend you to dilute 2 drops of oil with 10 ml of Ancient Living Hydrating Hair Oil. Alternatively, there are other carrier oils Sesame, Jojoba or Almond. Ylang-Ylang Oil helps naturally conditioning the hair and making them look shiny and beautiful.